PC owners have had to wait nine months longer than their console gaming brethren for the opportunity to play Metal Gear Solid 5 Ground Zeroes, so the question must be asked – was the wait time really worth it? 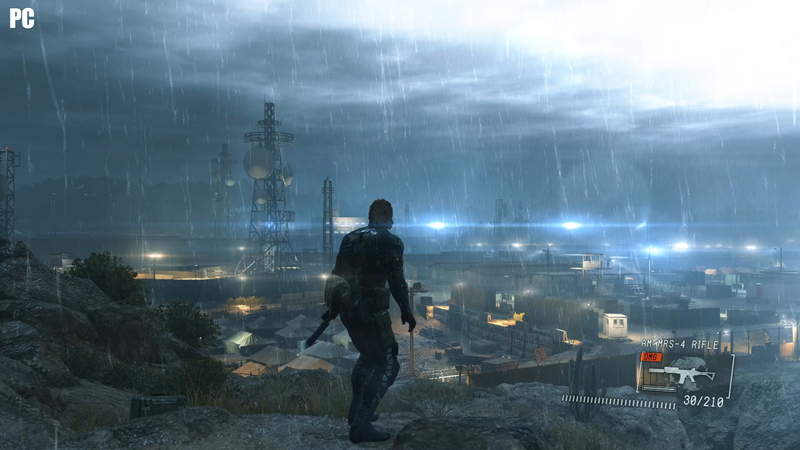 For many, Ground Zeroes is a preview of what’s to come, of the potential of the Phantom Pain. But, if this is anything to go by, Konami have indeed gone the extra mile with the PC release. With most modern PC titles weighing in at 20GB’s or more, it might surprise or even concern you to see Ground Zeroes is only about 3GB; tiny compared to what you’ve come to expect. 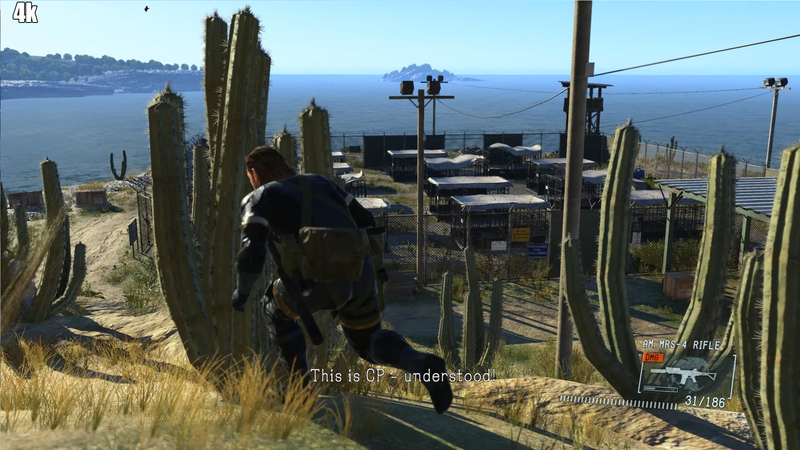 But remember, the playable area of MGS5 is fairly small, and with virtually each and every cutscene being rendered in-engine, file sizes can be kept down to a minimum. This is a time where size doesn’t mean much – the compact install has little correlation to the quality of textures, models or other in-game assets. 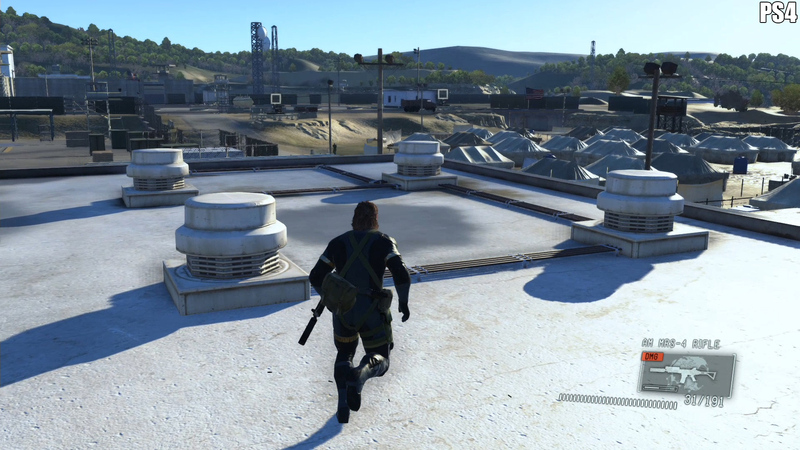 Naturally, we’re running everything offered in Ground Zeroes at the highest visual settings possible and at 1080P. But we’ve also decided to take advantage of the Dynamic Super Resolution technology of Nvidia’s (AMD users can relax, assuming you’re using the lastest drivers, you’ll have access to Virtual Super Resolution!) and thus also have a comparison of 4K downsampled to 1080P. We’re also running MSAAx2 forced on Nvidia’s control panel for good measure. The graphics options are fairly generous, allowing you to setup the game for a more modest rig all the way to a high end monster. Resolution, windowed mode, Texture Quality, Lighting, Screen Space Ambient Occlusion and the other usual suspects makes an appearance – but lack of a Field of View slider is a bit disappointing. A bigger issue however lies under Screen Filtering (which really should be renamed Post-Process), which actually controls a plethora of different functions. Post-Process Anti-Aliasing, Depth of Field and finally Screen-Space Reflections (which are one of the many new features on the PC version). Clearly, the AA being tied to this setting is less than ideal. As ironically, you gain extra quality as you nudge up the settings, but because of the Post-Process AA you start blurring the quality. Just so you know what the Screen Filtering settings enable in MGS5 Ground Zeroes: Using the low setting will enable Bloom Lighting. High turns on Depth of Field (which is a bit too much for my personal tastes) and Post-Process Anti-Aliasing (the real sad face); and Extra High enables Screen Space Reflections (which are explained below). There are ways to minimize this – assuming you’re running the latest AMD or Nvidia drivers, you’re afforded with the option to DownSample the image. While it doesn’t completely eliminate the problem, it does reduce it. Furthermore, you do gain extra quality. MGS5 Ground Zeroes suffers from sub-pixel artifacts, and so grass and fine details such as say chain link fences can lose detail, even when you’re closer to them. Running with DownSampling can help with this problem. The processor recommended by Konami is an Intel I5 running at 2.7GHZ – in other words, at least a quad core CPU. Since the release of both the Playstation 4 and the XBox One, and increasing number of games suggest using a CPU that’s capable of running at least four threads. It’s a trend that certainly won’t be going away. Due to the next generation consoles possessing 8 CPU cores (albeit with two of those locked off to developers), console ports are becoming increasingly multi-threaded. Obviously with desktop CPU’s handling more IPC (Instructions Per Clock) and running at a higher clock speed, ports don’t require six or eight cores. Playing around a little by disabling cores and hyper threading on a 4770K and it’s clear that performance does start to diminish. If you turn the CPU into an I3 (by disabling some physical cores) performance does go down – but the title is still playable. If your heart is set on a 60FPS experience with all the bells and whistles on, an I5 complete with a higher end GPU are required, but if you’re willing to have frame rate dips, or lock at 30FPS, then an I3 and something like a GTX 760 will do just fine. While you’re able to get away with 1GB of GDDR5 on the lowest settings (particularly if running sub 900P), frame rates will start to tank should you crank up the details, even on a more powerful card with limited VRAM. Many of the effects are quite demanding on VRAM, and running the game at full 1080P will require a GPU sporting 2GB of VRAM, more if possible. A full 4K resolution is possible with a 3GB card, but you’ll be risking the occasional bit of swapping… which isn’t the best thing for a stable frame rate. For users who’re planning to run at 4K and demand a 60FPS lock, you’ll likely be looking for an SLI setup too. 1440P on a single higher end card shouldn’t be too much of a problem though. For reference, a GTX 780 Ti with a mild overclock was certainly capable of hitting the mid 40FPS mark at 4K with 2X MSAA forced on the control panel. Lighting quality has seen a rather large improvement on the PC release. 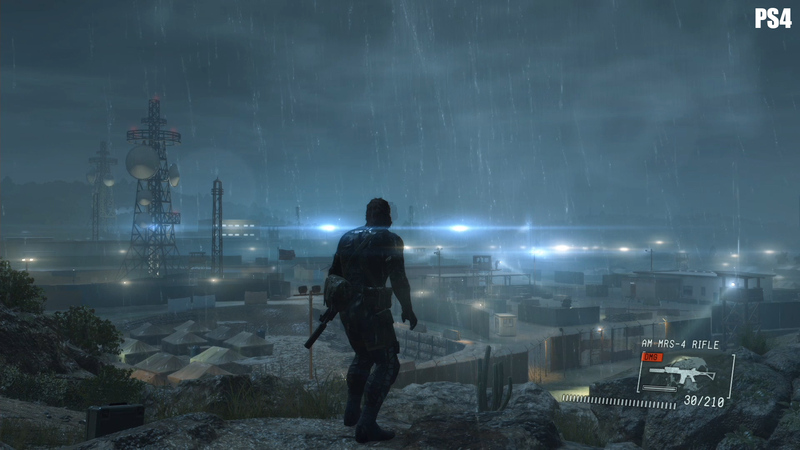 When the first mission of Ground Zeroes loads, you’ll be overlooking the prison camp (Camp Omega), and you’ll immediately be struck with the rather large difference in spot lights in the distance. Effectively, more lights are being rendered, thus a more accurate and detailed scene is lit. The Playstation 4 port runs at the equivalent of high, where as the PC version sports the “Extra High” setting. These additional light sources make a rather large impact on the games shading and shadowing – as you can imagine. While we’re on the subject of Shadows (and you’ll be spending a lot of time in them, providing you’re playing covertly), what’s changed for the PC version? Effectively, the resolution of the shadows has been increased, providing richer detail, while their number has also been bolstered. Finally, it would appear that there’s additional filtering on the shadows, which helps to make the edges less janky and aliased. The extra shadows are obviously tied in with the additional number of lights. Suffice to say, this means the lighting model as a whole just ‘looks better’ (not a technical term I know, but I digress). Screen Space Ambient Occlusion (SSAO) also sees a nice improvement thanks to the additional GPU compute power. If an object blocks light, it will more accurately be portrayed in the lighting of the scene, so rocks, buildings and other such objects cast and interact with the lighting that much more accurately. We don’t see quite the levels of details that say HBAO+ could provide, but there’s still a rather tangible difference between the PC’s “Extra High” and what the consoles manage to achieve. We touched on Screen Space Reflections earlier, pointing out they are indeed joining the “new to the PC release” party. Their function is simple enough, adding reflections in pools of water and other reflective materials. They do tie-in to the Lighting, Shadows and SSAO we’ve discussed for the overall look and feel of the scene quality. The effects help to make environments look that much more natural. Think of even a rainy day, when puddles form on the ground and you look at them as you’re walking past. Can you not seen vague silhouettes – shapes and lights in the ripples? All of these effects together really help to sell the realism in a scene. To demonstrate this – take a look at the below comparison screen shot. You’ll notice that the PC version of Metal Gear Solid 5: Ground Zeroes does indeed feature a reflection in the puddle, that is completely missing on the PS4 version. In motion, the effect is rather subtle – but once you’ve seen the two versions running side-by-side it’s hard to not spot it. Finally getting away from the subject of how light and shadows interact with the games assets, let’s discuss Textures. Textures appear to be virtually identical across both the PS4 and PC. They can appear a little sharper, and more detailed – but that’s down to both the higher resolution (if you’re taking advantage of downsampling) and improvements in Texture Filtering. It’s a bit of a shame that we don’t get ultra high quality textures in the PC release. Fortunately, aside from the odd ropey ground texture, the textures hold up fairly well under scrutiny. At first glance, particularly in certain cutscenes, the PS4 version can appear slightly sharper – with the PC version having some details blurred. This is primarily down to the Depth of Field effect; and while it is a bit much for my particular taste, more accurate than the PS4. 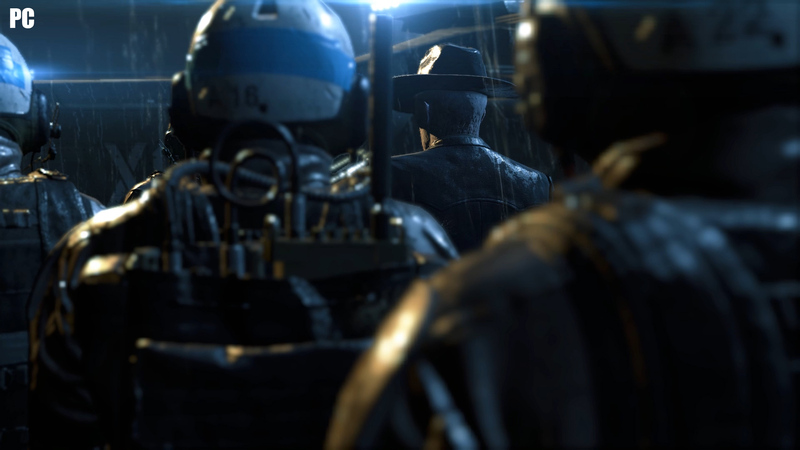 It’s primarily there to give the cutscenes a more ‘movie-like’ vibe. The detail is there, but rather is focused on what the ‘camera’ is aimed at. 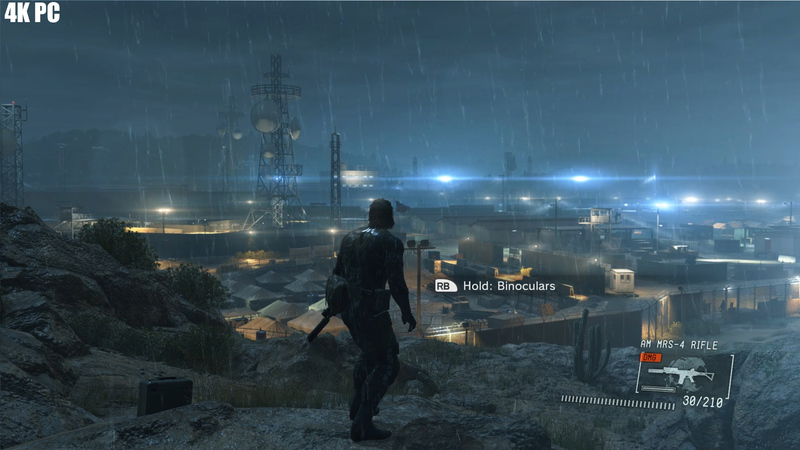 The PC version of Ground Zeroes does however feature a massively improved Depth of Field effects over that of the console release. On the PS4, we find the PS4 would blur the foreground which is sometimes unessessary, which is now resolved on the PC. Furthermore, we also find higher quality blur in the background. 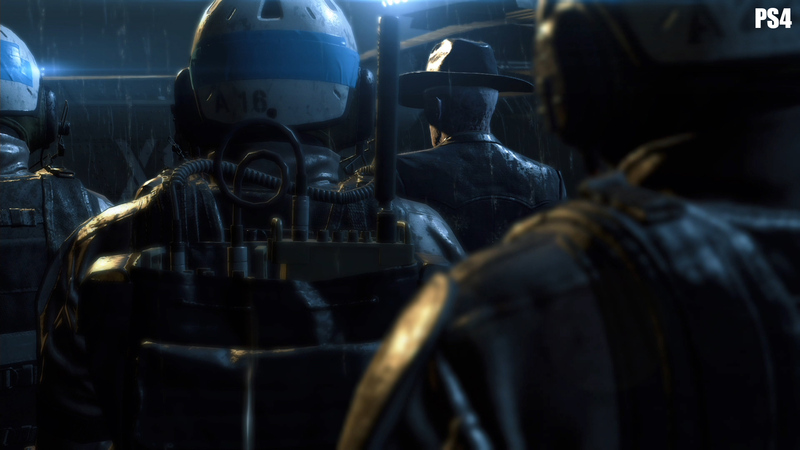 Overall, the PC experience is certainly the more… solid (excuse the pun) way of playing MGS5. It’s a bit of a shame additional tessellation, HBAO and other effects aren’t used – and the biggest problem of all, the tying in of post-process AA to the Screen Filtering options. From searching there doesn’t appear to be anyway to manually edit a .ini file either, which is a little bit of a shame. 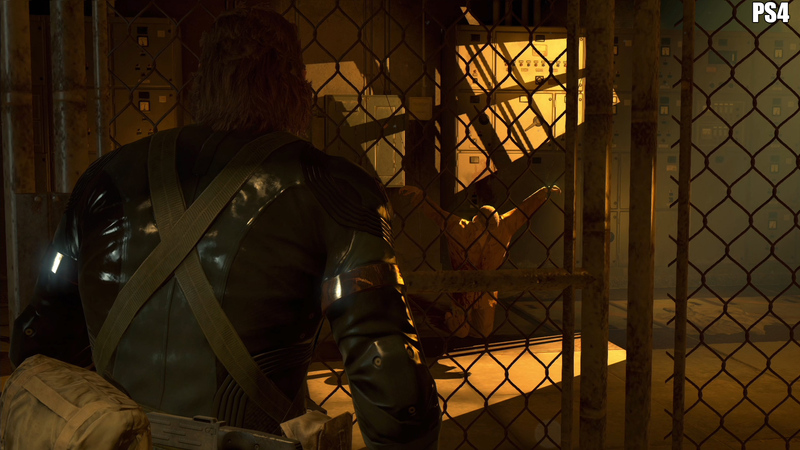 MGS5 Ground Zeros PC Vs Playstation 4 – What’s The Verdict? Clearly, the PS4 version was at a disadvantage going into this, with the abundance of additional GPU power on the higher end gaming rigs, it’s a bit of a mis-match. But, what’s impressive about ground zeroes is that it doesn’t take a monster machine to really run the game – particularly if you’re happy to run at the 30FPS lock. 30FPS and 1080P is an easy target for a GPU such as the GTX 760 or AMD’s R9 280 series. While you’ll certainly not enjoy silky smooth 60FPS gameplay, you’ll still be able to reap the additional benefits that Konami have put into the PC version of Ground Zeroes. For those with a higher end rig (say a GTX 780 or above) then ground zeroes is nothing short of impressive. Despite a few small gripes with post process, and a few older graphics techniques used in place of newer (albeit more technically demanding ones) the Fox Engine transitions rather well to Windows gaming space. Effectively, at highest settings, it builds on the rather impressive PS4 version of the title and adds a bunch of new graphical effects, higher frame rate and beautiful 4K support. As for if you should buy Metal Gear Solid 5: Ground Zeroes because it’s a good game – then the question is a bit harder to answer. It’s true the title is – for all intents and purposes, nothing more than a prelude to Phantom Pain. It comes down to the type of gamer you are – if you’re a completionist, someone who enjoys challenges, exploring and sneaking their way to finding every secret a game has, then yes. If on the other hand you just want to blast through a story as quickly as possible, then Ground Zeroes is harder to justify as a purchase. 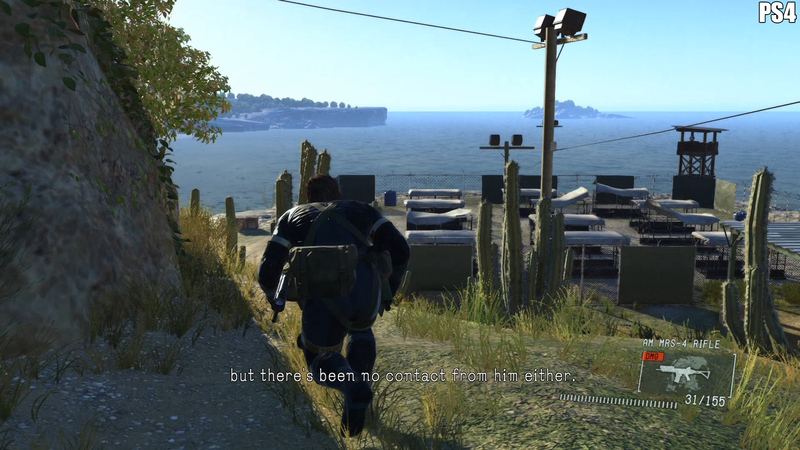 A comparison of the PC and Playstation 4 versions of Metal Gear Solid 5 Ground Zeroes, featuring high resolution images, videos and 4k downsampling. This article was filed under Features, Gaming News, PC Gaming News, Playstation News. 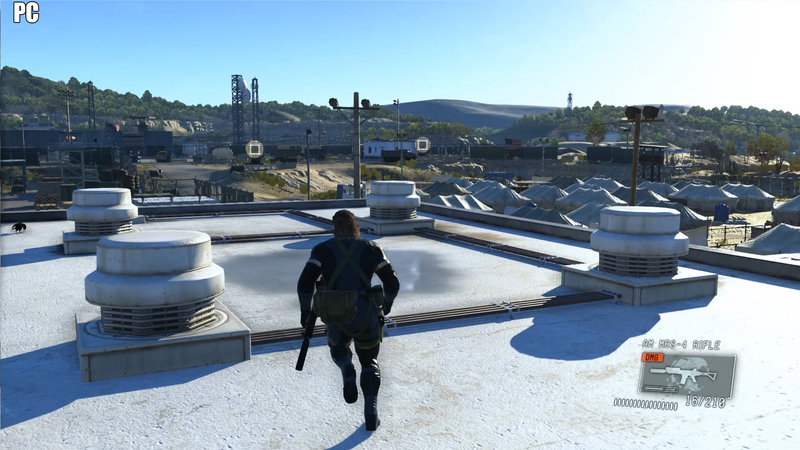 Tagged with face off, graphics comparison, ground zeroes, metal gear solid 5, MGS5, PC vs ps4, Tech Tribunal.